Home » Print Shop Lab Products » Wall Art and Decor » Marketing & Party Banners » Stock Banners » Congratulations You Did it! 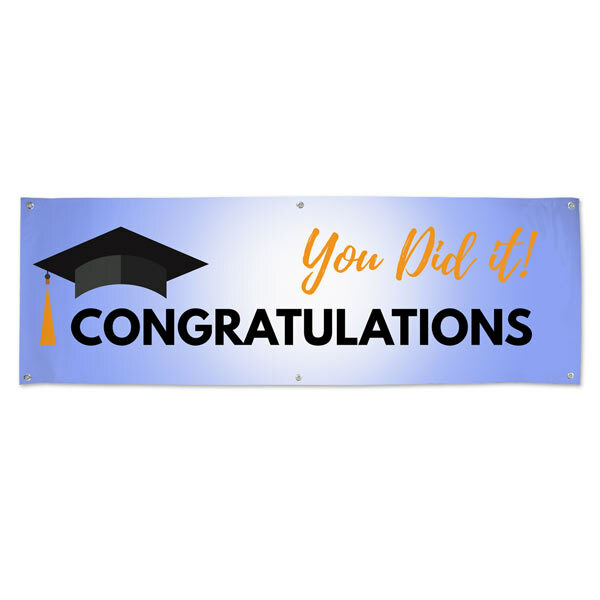 Bright and proud 6′ x 2′ Vinyl banner with ‘Congratulations You Did It’ text. Perfect for graduation parties and events.